The Red Lobster is a superhero who had a short-lived comic serial in America. During its short run through the summer of 1951, the comic won several awards, especially in art direction and character design. The comic was designed by Pyotr Germanov, a Russian Immigrant and copy clerk in the DMV. The Red Lobster's primary superpower was the ability to get away with charging $15.00 for a salad with brown, wilting lettuce and only three tiny shrimp. In issue #1, Walt's Favorite Hero, Arthur Pod, a mild-mannered patent attorney living in Cheddar Bay, Florida, was bitten by a radioactive Spider Crab- one of the only organisms to survive the explosion of the planet Darden. Arthur found himself a half man, half lobster afterwards, and set off with a new identity-"The Red Lobster". He thought of his theming and outfit from vague memories of his New England hometown, Greater Kennehyannistucketsettport's Vineyard. The Red Lobster pledged to save any helpless, lazy yuppies from the bother of cooking dinner. The Red Lobster's main love interest is Amy Cohen, a quality assurance manager at the Washington Mutual in the same office block as Arthur's. She is a yuppie and a single mom who is often saved by the Red Lobster. Amy does not know Arthur's true identity, despite dating him for three months. Arthur/The Red Lobster has expressed confusion over this, saying "honestly, I thought the claws and antennae were fairly obvious." 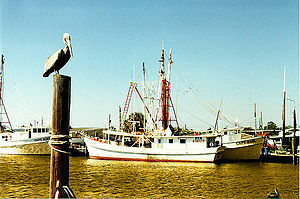 Cheddar Bay, Florida. Its residents are frequently tempted by nefarious wrongdoers. The Red Lobster's primary enemy is The Olive Lardin', introduced in issue #4, Action in Jackson. According to the comic, Benito Malpastarone was the worst chef in all of Tuscany, widely panned by every critic in Italy. Though initially depressed, contact with a radioactive head of garlic from Darden turned him sinister. To get back on his detractors, he composed a combination of butter, garlic, and thalidomide which he liberally smeared across all of his mediocre bread-sticks. These bread-sticks were addictive, through the use of mind controlling substance Imperius Butanol, but deadly and highly caloric. The Red Lobster handily defeated him with the use of a new tactic, the wood burning grill. The HoJo Dojo is another enemy of the Red Lobster. Dojo, born Howard Johnson, was originally good, and in early issues he often collaborated with the Red Lobster. However, he grew increasingly self-centered and concerned mainly with profits. Additionally, the HoJo Dojo wanted to market his services to "middle class people who want to seem upper class," and he wanted to "start a themed hotel chain based on it." These were matters with which the Red Lobster had the utmost disagreement. This lead to a major showdown in which Dojo and his evil compatriot, Bonefish, and his fried clams o' fury handily defeated the Red Lobster. Eventually, the Red Lobster came back from his defeat, and defeated the HoJo Dojo with ease, even though he had the assistance of the Bonefish, in addition to Outback Stakeout-house and his major weapon, the Bloomin' Onion. Cheddar Bay Biscuits, now seen as a symbol of peace and prosperity since the Red Lobster's arrival. 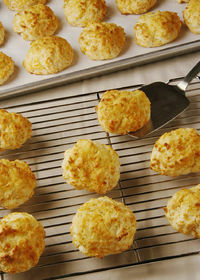 Cheddar Bay Biscuits- The most commonly seen other superpower. Its cheesy wonderfulness is delicious and quasi-nutritious to friends but incapacitating to rivals. Named after the Red Lobster's hometown, which is on a part of the Gulf of Mexico filled with melted cheddar cheese. Endless Shrimp- The Red Lobster uses these "popcorn shrimp" like a machine gun in some issues, notably #13, Seafood Risque. These minuscule weapons were much more useful to the Red Lobster than its predecessor (see below) and were key in helping him save Amy from the Bonefish. Endless Stone Crab- The predecessor to the above, it was not very convenient partially due to unwieldiness when propelled at high speeds. Additionally, the crabs took forever to crack, which increased wait times and decreased satisfaction. Endless Advertisements- In what is possibly the reason for much of his success, the Red Lobster is notably good at propaganda. His preferred tactic is to put his tail on a plate with broccoli and a baked potato also on it. He then has his camera crew do a close up on the plate wile his manager slowly squirts fresh lemon juice on his tail. He does not know why it works, but he says "people just seem to get hungry when they see close ups of food eaten by men wearing expensive red cardigans." Wood-Burning Grill- Created to destroy Olive Lardin' (see above). It successfully took people away from the addicting yet deadly bread-sticks by entrancing hungry yuppies with the illusion of health. The Red Lobster adapted the grill to several of his previous powers, making them stronger. It was previously known as the LightHouse Grill, but the Red Lobster eventually admitted that this was a failure because "a delightful pun does not save the fact that the grill was liberally smeared with a mixture of coconut oil and thousand island dressing." The Customer Satisfaction Survey- The Red Lobster's newest ability, introduced in the last issue, The Admiral's Beast. To execute this, the Red Lobster's manager, Jennifer Quaife, comes out and gives both the enemy and the people being saved a receipt and says that if they call the number on it and answer a few simple questions, they will get ten dollars off on the next visit. While the yuppies are attracted by the premise of saving a negligible amount of money, the villain is disgusted and gives up. The Chocolate Wave- See below. Weapon encourages people to spend more on dessert and to just be capitalistic. One early critic of the comic was Wisconsin senator Joseph McCarthy. He alleged that the comic, due to Germanov's Russian ancestry, was all part of pro-communist propaganda. McCarthy and his supporters also complained that because, in the words of McCarthy himself, the "titular character's red hue and drinking of obviously fluoridated water are signs that the comic is a flimsy façade to infect America's children with the evils of Communism." Due to these allegations, Germanov was examined by HUAC briefly. He responded to these allegations by having the Red Lobster in issue #25, One Day in the Life of Ivan Fuddrucker, defeating the new villain Captain Fuddrucker. Fuddrucker was based on McCarthy and had an emphasis on burgers with "quintessential All-Americanness." He did this with the help of a cartoonized Aleksandr Solzhenitsyn and with a new weapon, the Chocolate Wave. ↑ Legally, these are not actual shrimp, but genetically modified sea monkeys. This page was last edited on 30 May 2012, at 06:46.